2) Now run the Clover package. 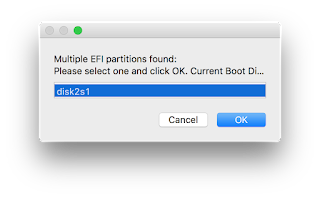 Select the USB as your destination, click Customize and use the following options: "Install for UEFI motherboards" then, under Drivers64UEFI, select "OsxAptioFixDrv-64" and "PartitionDxe-64". It will prompt you to enter your password, do so and press ok. A list of mounting points should appear. disk0s1 is your main drive. Choose the USB drive, mine was disk2s1. 4) Place FakeSMC.kext and any kexts you need into /EFI/CLOVER/kexts/Other. 4) Now boot from your USB! DIDN'T BOOT? : Make sure you're using a USB 2.0 port and your flash drive is 16 GB or higher. You probably will have to configure your BIOS. SUGGESTED: How to access the boot menu – Explanation of what each boot flag is and does and how to use them. Use the kext-dev-mode=1 and rootless=0 bootflags and add -v to the end of the boot flags so you can get an output of what's going on (verbose mode). 5) Get into the installer, and then install macOS Sierra to your HDD or SSD. 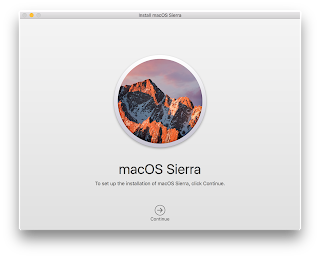 6) When the install completes, reboot, boot from the USB and this time select your main boot drive that you just installed Sierra onto. Use the kext-dev-mode=1 -v and rootless=0 bootflags once again. 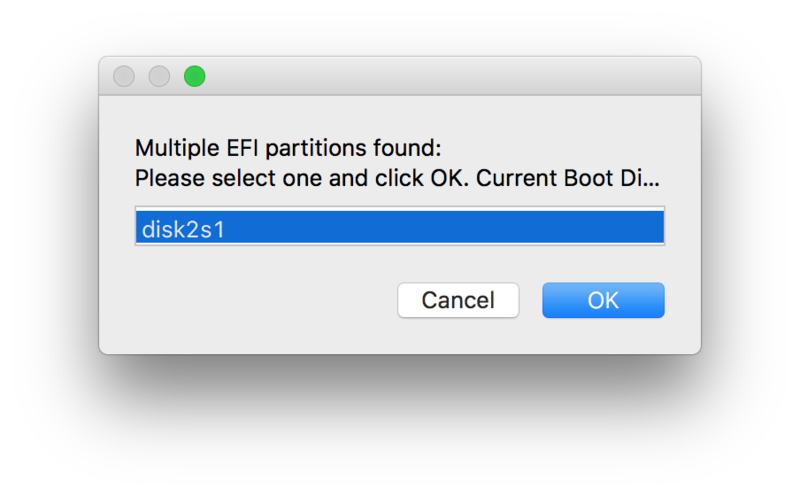 SUGGESTED: Hackintosh Boot Flags – Explanation of what each boot flag is and does and how to use them. 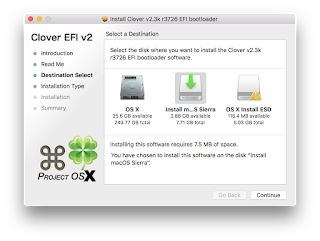 7) Install Clover to your boot drive. 7) Copy the FakeSMC.kext and your network kext across to the EFI partition on your hard drive. The rest depends on your system, you may need to download some more kexts and drivers, you may now be good to go. Good luck! 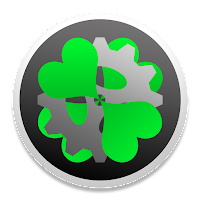 Beta NVIDIA web drivers are available for macOS Sierra here. Official drivers should be released in the coming weeks. If you have any issues installing, leave a comment! 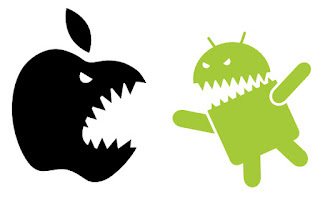 Rootless=0 disables SIP and kext-dev-mode=1 enables unapproved kexts. Both of these work with Sierra and serve their purpose. Thank you for tutorial! I'm stuck on step number 6. I'm new to this, can I apply this to an older MacBook (2007) that is officially limited to lion? I'm not sure, there are better solutions available. Hi Grant, thanks for the reply. Can you orient me a bit towards the other solutions? I would really appreciate it. I would use the macOS Sierra Patch Tool. It allows it to install on unsupported macs. 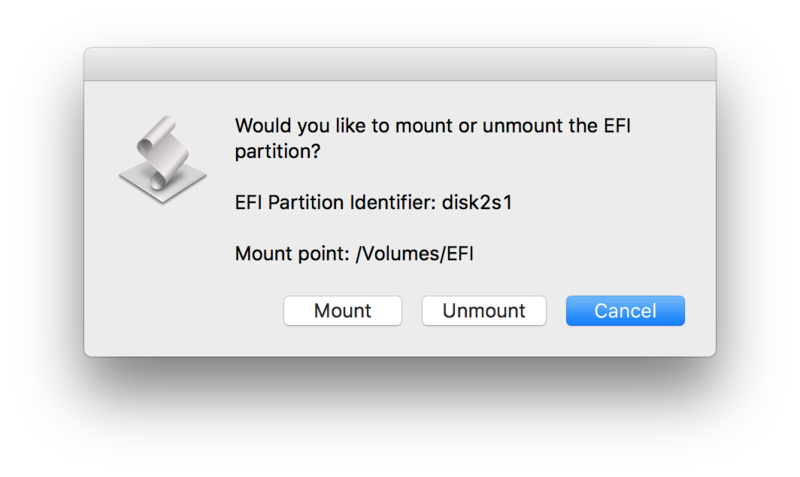 If you get a minute, I'd be grateful if you could give us some ideas on how to go about and install Sierra on a Fusion drive on a Hackintosh. I have installed successfully, it seems to be working fine, but I cannot for the life of me install Clover properly so that I can boot from the Fusion disk. 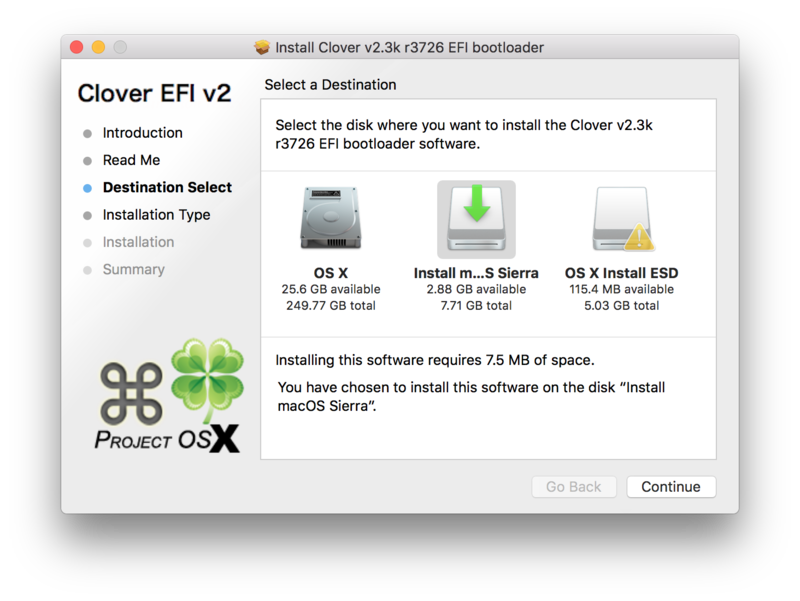 I copied Clover on EFI on both the SSD and the HD that make up the Fusion volume.